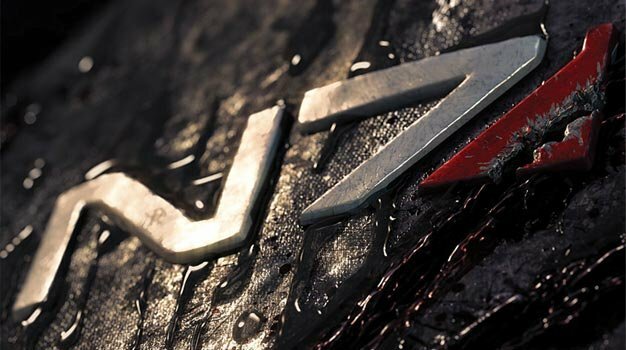 EA has sent word that Mass Effect 2 won’t be left behind in the Collector’s Edition mania and will get one that comes with unique in-game weapons and armor that can’t be obtained any other way, a 48-page hardcover “Art of Mass Effect 2” book, the first issue of Mass Effect Redemption comic book, a bonus DVD with behind-the-scenes and making-of videos, and the game itself of course, all packaged in the mandatory-for-a-CE tin case sporting cover art of a bloody, battle scarred armor, deepening our fears that something horrible is probably going to happen to Commander Shepard. Beyond the fairly standard CE stuff, it looks as if some surprise content may be sneaking in there as well. The CE will feature “so many unique items, including special Collectors’ Edition armor and weapons and content that will surprise Mass Effect fans,” says Dr. Ray Muzyka, BioWare co-founder and Group General Manager of the RPG/MMO Group of EA. The CE’s out alongside the regular edition in limited quantities on January 26 in North America and the 29th in Europe. Check the pics below for the full CE box art and an exclusive armor/weapon.